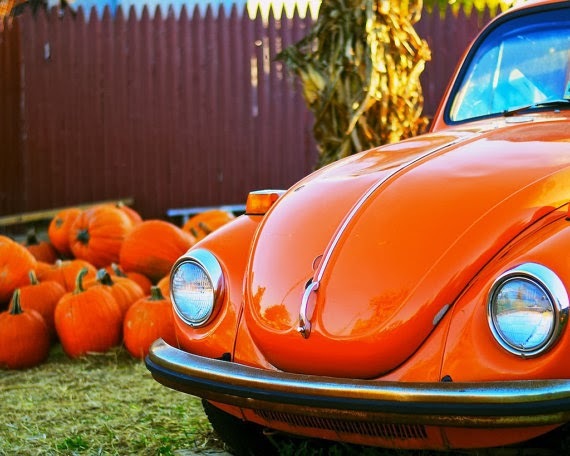 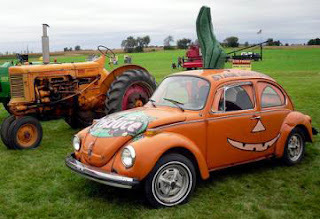 In the sixties my cousin had a bright orange VW bug, and every Halloween she put a big pumpkin stem on the top and drove all over Long Island. 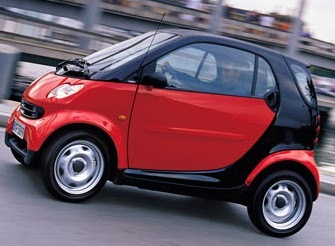 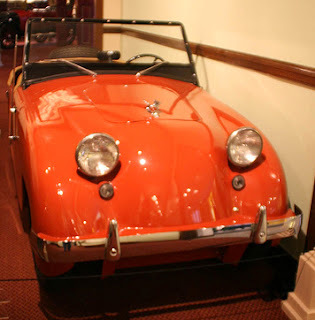 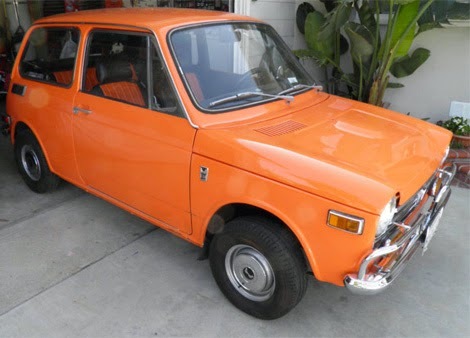 In high school, every morning my bus passed an orange Honda 600, the tiniest car we’d ever seen, and it made me smile each time. 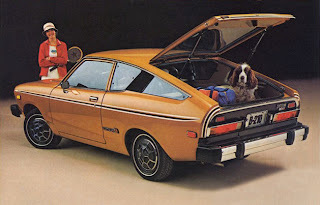 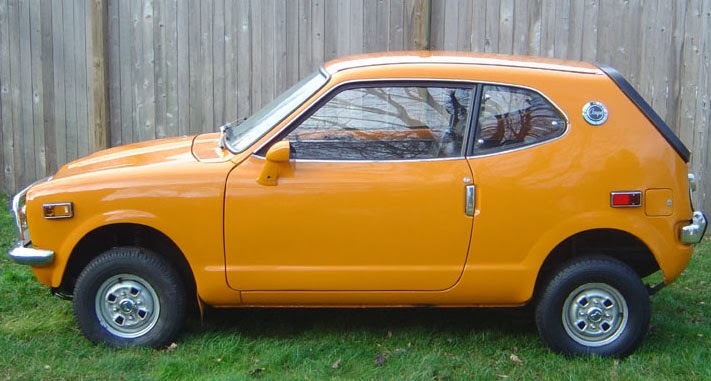 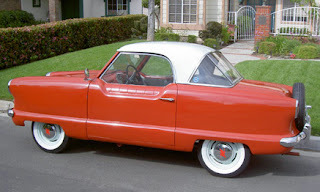 When I met my husband, he drove a 1975 fiesta orange Datsun B210. 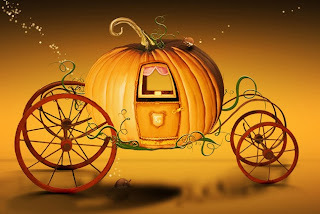 Even without a stem, it looked like a zippy pumpkin. 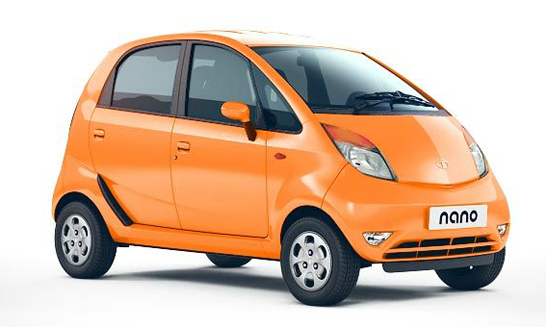 There’s just something about cars that are small and orange. So for a tiny Halloween treat, here are some little cars that want to be pumpkins.